Miami Gardens is found in Miami-Dade County, Florida and has a population of about 112,000 residents. Its home to Sun Life Stadium, which brings plenty of visitors to the area all year long. Miami-Dade County has a much larger population with more than 2.6 million residents found throughout the area. With such a large population and many visitors coming to both Miami Gardens and the Greater Miami area, the roads become clogged with traffic. In addition, the visitors bring plenty of unique driving styles to the area. I-95 in Florida has been known as the most dangerous highway in the United States for years. About 186,000 vehicles use I-95 every single day. Florida's Turnpike and the Ronald Reagan Turnpike both run through the Miami Gardens area. Along with these major roads, Interstate 75 is found nearby. The stretch of I-75 found in Florida is known as the 15th most deadly highway in the United States. Traffic accidents in both Miami Gardens and Miami-Dade County are on the rise. If law enforcement found in Miami Gardens didn't monitor the traffic, could you imagine how much worse these statistics would be? Tickets issued by law enforcement throughout Miami-Dade County for 2015 totaled more than 470K. Out of those tickets more than 89K were for drivers caught speeding and more than 54K were for those driving carelessly. Another 161K were issued by red light cameras catching driving running through red lights. These are very dangerous offenses and lead to accidents often. After a few tickets in a short amount of time, you may be standing in front of a judge listening to the driver's license suspension you now face. It only takes a few tickets and you could lose your license for 30 to 365 days. Each ticket you receive comes with 3 to 6 points, which attach to your driver's license. The worse the offense, the higher the points and the closer you become to losing your license. For example, if you get a speeding ticket, but you're going less than 15 mph over the posted limit, the ticket comes with 3 points. However, if your speed is more than 15 mph over the posted limit, the ticket comes with 4 points. Even worse, if you cause an accident while speeding, it will come with 6 points. Could you imagine trying to find a ride for an entire year? 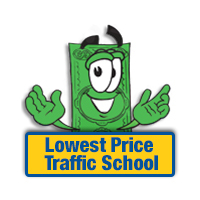 When you decide to enroll in online traffic school in Miami Gardens, you can keep the points from your most recent ticket off your license. Simply pay the ticket and let the clerk of the court know you plan to take the basic driver improvement course. Then, take the course and pass the test. You will receive a certificate of completion, which you need to turn into the clerk of the court. Complete this process and the points won't go on your license and you will keep your insurance rates from going up. Are you Eligible for Traffic School? 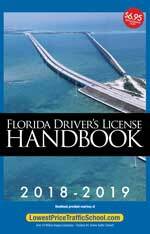 The State of Florida allows drivers to take the basic driver improvement course once per year to avoid points going on your driver's license. You can take it up to five times in your lifetime. If you haven't taken the class 5 times or in the past year, you're eligible. After receiving a traffic ticket in Miami Gardens, Florida, you will need to pay the ticket with the Miami-Dade County Clerk of the Court. The clerk of the court handles all information pertaining to traffic violations. You can find out more about the Miami-Dade County Clerk of the Court at their website.